Did anyone have a gardening question? 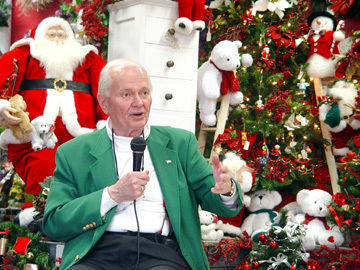 Ralph Snodsmith made a special guest appearance at Bill O'Shea's Open House from 1 p.m. to 4 p.m. on November 23, 2003. As the popular host of The Garden Hotline®, Ralph has been heard on WRKL, WLIR, WRCR, WOR Radio Network, and ABC Talkradio Weekend. In his eight years of appearances on Good Morning America as gardening editor, Ralph Snodsmith educated millions of Americans about plants and their proper care. 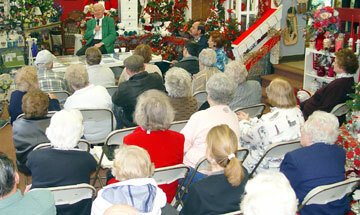 Mr. Snodsmith has lectured at the New York Botanical Garden since 1968. In 1993, he distilled his 25 years of experience teaching at the New York Botanical Garden into an eminently comprehensive and usable guide for gardeners of every level, Ralph Snodsmiths Fundamentals of Gardening. 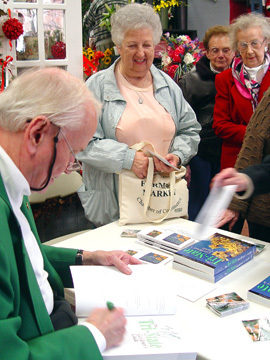 He also authored Tips From the Garden Hotline, and hundreds of fact sheets and newsletter articles. In addition to Mr. Snodsmiths appearance, Bill O'Shea's Open House also featured FREE flowers, balloons, music, prizes, refreshments and a raffle for a FREE Thanksgiving Centerpiece. 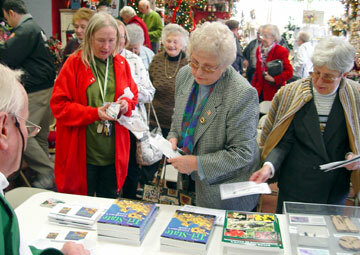 In addition, Bill O'Shea's Florist offered a 10% discount on all gift items during the festivities. 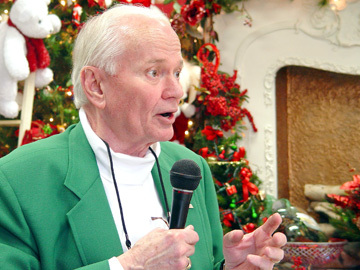 Bill O'Shea extended a warm invitation for all to attend this annual Open House celebration from 10 a.m. until 5 p.m. at the Circle in Hasbrouck Heights, NJ on Sunday, November 23, 2003. 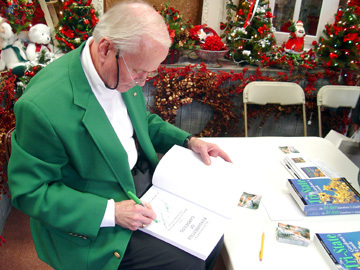 Bill O'Shea's Florist has been a Holiday Tradition for over 30 years -- since 1969 -- delivering the Season's Cheer to you, your family and friends. Ralph Snodsmith shared some of his on-air experiences, answered questions and signed autographs. 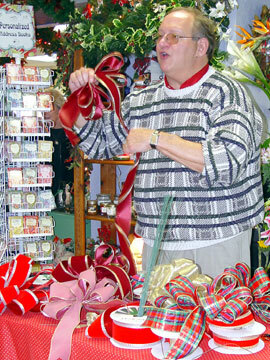 Harvey Jaffe of Designer Dispatch Ribbons made ribbon & bow making presentations. 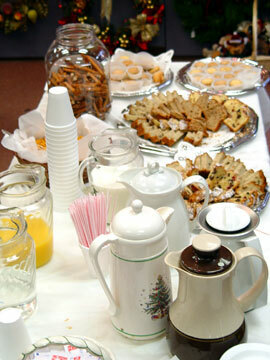 Lots of good food to enjoy.